As reported by Ethereum World News in early-August, Chris Franko of Expanse claimed that he was told to pay 400 Bitcoin (BTC) or the equivalent of $2.5 million for a listing position on Binance. This led many to question the exact specifics of Binance’s listing process, with some even getting aggressive on social media against the exchange. The situation swelled to a point where Changpeng Zhao, the CEO of founder of Binance, had to respond. According to the CEO, the 400 BTC listing fee is far from the proof, as the email that the Expanse co-founder made public on Twitter was “spoofed/spam email” and not from a BInance representative. We don’t list s***coins even if they pay 400 or 4,000 BTC. ETH/NEO/XRP/EOS/XMR/LTC/more were listed with no fee (paid). Question is not “how much does Binance charge to list?” but “is my coin good enough?” It’s not the fee, it’s your project! Focus on your own project! Although Changpeng, known as CZ to many, rebutted the claims, as made evident by a recent Binance announcement, it is apparent that the startup intends to fully clear the waters when it comes to the listing fee debate. On Monday morning, that Malta-based startup revealed that it would be making a chance to its listing fee policy, which was kept under wraps for over a year. According to an official announcement, starting immediately, Binance will make disclose all listing fees paid, while also donating the fees incurred to charity for the foreseeable future. Further bringing clarity to the listing fees, the startup added that prospective Binance listees will essentially be giving a “donation” rather than a listing or application fee. Moreover, the platform explained that there will not be a minimum monetary value for “donations,” which should come as a relief to small cap, yet promising altcoin projects which are looking to gain traction on the world’s largest crypto exchange. Our mission is to lift the Bottom Billion people out of poverty by harnessing blockchain-enabled charitable giving and amplifying philanthropic endeavors by supporting blockchain solutions that unlock new, automated, and transparent pathways for philanthropic endeavors. Although there were some critics suggesting that Binance’s top brass had ulterior motives when instating this new policy, CZ explained on Twitter that this is likely to be a “net win” in the long run, as a larger, more advanced blockchain industry will benefit BNB and Binance over time. This isn’t the first time that members of the cryptosphere have engaged in philanthropy. Earlier this year in July, Binance, along with generous members of the crypto community, donated over $1 million worth of assets to Japan after the Asian country experienced a horrific flood that destroyed the homes of many. Brian Armstrong, the CEO of Coinbase, has also tried his hand a crypto-focused charity, launching the GiveCrypto campaign in June that is aimed at providing for the unbanked, malnourished population through crypto assets and blockchain technologies, as reported by Ethereum World News. 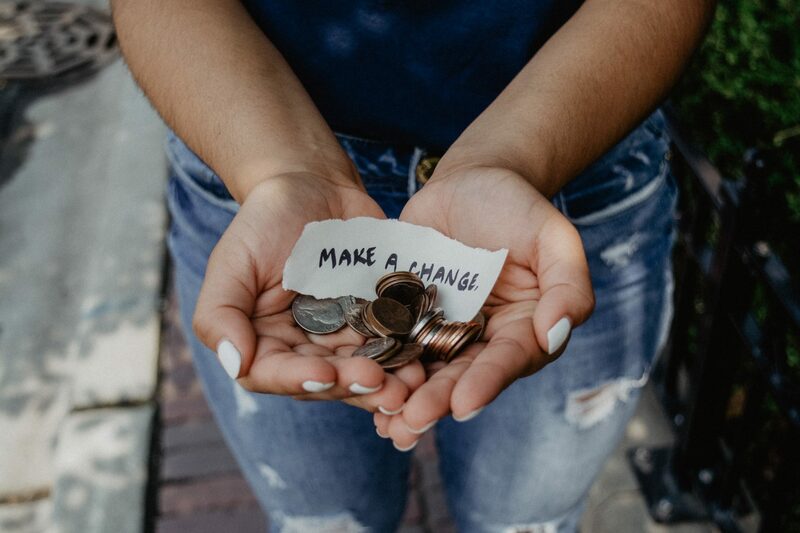 As the crypto market continues to see rampant growth and expansion, it only makes sense that charity will become an integral part of this industry, as many early-stage adopters will need to find a way to put their crypto wealth to good use.